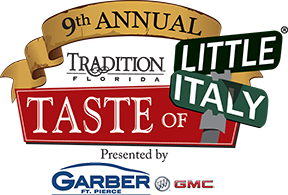 Over a decade ago Taste of Little Italy began in Port Saint Lucie with a plan to develop an experience full in Italian culture. Look to celebrate the presence of great Italians through food, music, art and tradition. Today as we stay dedicated to encouraging the importance of family and community we hope to stay mindful of the hardships that our ancestors endured in migrating to this great country. We can only hope to continue creating memorable moments together as we share in the passion of the Italian – American culture. Join us at the Banfi Wine Seminars, featuring brief lessons to help make you a wine connoisseur and a tasting of their best wines. Children of all ages will love the Port Saint Lucie Mets’ childrens area. Kids will be able to meet all of their favorite mascots, participate in fun activities and games and have a chance to win fantastic prizes.